Reno Omokri, former aide to ex-President Goodluck Jonathan on Wednesday reacted to President Muhammadu Buhari’s statement that his administration responded better than the immediate past government to the February 19 abduction of 110 students of Government Girls’ Science and Technical College, Dapchi, Yobe State. Buhari had said Jonathan’s administration was slow with their response to a similar abduction in Chibok, Borno State. 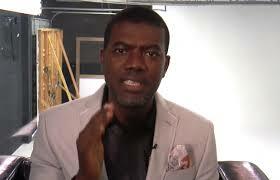 However, Omokri, in a series of tweets rubbished the statement by the president. The United States, US-based Pastor said more security agents guarded Buhari’s son, Yusuf while he was in a hospital than those attached to the school the girls were abducted from. According to Omokri, “Buhari’s son, Yusuf, alone had more guards guarding him than the entire guards attached to Government Girls Science and Technical College, Dapchi at the time of the kidnapping, yet the President has the guts to say he handled Dapchi better than Jonathan handled Chibok.